Life transition is never easy, especially for men. We don’t like change. Change means going to an unknown place and discovering new ways of being. When a man is beyond his 4th decade of life, he prefers to be in a comfortable position doing the same old actions, even though something inside him says "Something is missing". The attitude of having a wondering mind, having a healthy curiosity to learn new ways of living, will require from him a brave self-knowledge to let him to feel secure enough to acknowledge he cannot answer all the questions, and that he must search and learn as if he was a beginner in his life. In Jerry Maguire, a 35 y/old sports agent business executive has an awakening moment, when he realises he is becoming ‘a shark in a suit’. A man that fiercely is separating professional athletes from their family. Eventually, in a moment of heartfelt impulse, he writes a ‘mission statement’ saying: "Less money. Less clients. More Connection". That goes against the culture of the corporate world, where consumerism and capitalism commands the opposite. As a result, he is fired, and launches into the market completely broke, forced to deal with his only client (whom is not very successful and full of attitude). Together they share their own fears, hopes, dreams and fights together. It concludes with the lesson that it is possible to do business and connect from the heart at the same time. 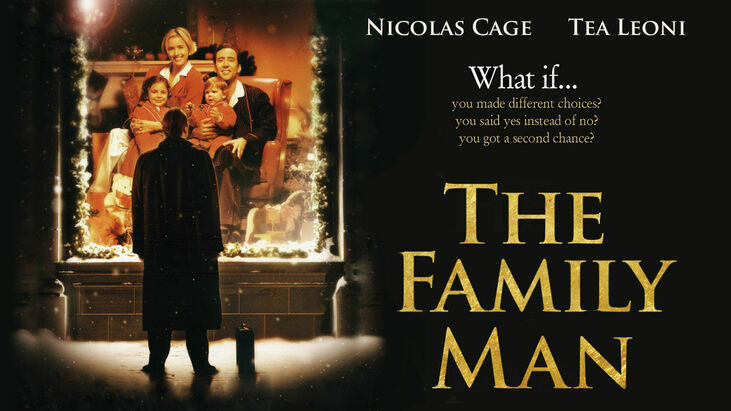 In 'The Family Man', a 40 y/old millionaire man played by Nicolas Cage believes he has got everything a man could dream of, until he meets with an ‘angel’ on Christmas’s Eve. The angel decides to show him ‘a glimpse of what he does not have’. Basically, what he does not have is a messy family life with wife, kids, a dog, in-laws, and a bunch of friends. Eventually, starts to love this new life, then he awakens to notice it was only a dream. He then realises he is a very… very… lonely millionaire and the corporate world is not making sense in his life anymore. Know more about these three elements in a 'straight to the point' language. Read more here. Becoming a beginner in life is a great and long step for man at middle age. The reality is, whether he wants to or not, he will face a life transition. If he chooses, he becomes open and awakened to the signs that comes. These signs include dreams, sacred conversations with loved ones and openness to hear and understand his own feelings. When he does not want or it is not open to, this comes from tragic life events such as loss of a job, divorce, death of a loved one or a serious illness. 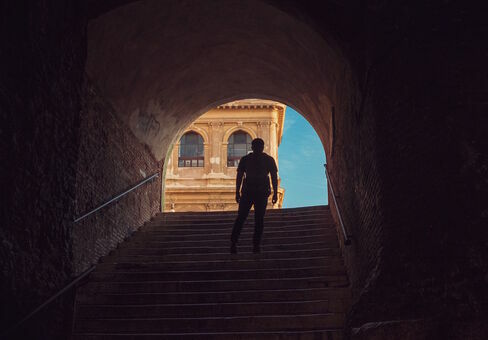 These tragic events in life are the most common (unfortunately) pushing men to the journey beyond, and hopefully they will accept the unknown path. Three movies explore the man’s life transition. : 1. 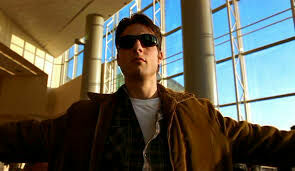 Jerry Maguire; 2. The Family Man; and 3. Manchester by the Sea. And finally and tragically, 'Manchester by the Sea'. This is the most deep and tragically movie about men’s grief that I have ever seen. After his brother’s death, and a tragic event in his own life, he is having to take care of his brother’s funeral and his nephew. 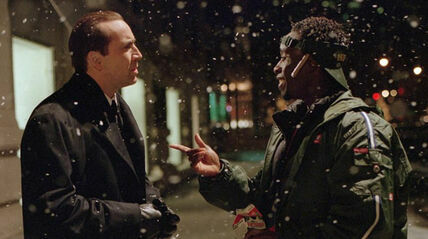 It is not an easy movie, different from 'Jerry Maguire' and 'The Family Man'. Much silence, the very strong presence of death, depressive energy, great sadness and a powerful tragic event. This movie touches in every man’s heart, especially the scene he speaks alone with his ex-wife (you can watch this below - it won’t spoil the movie). While in 'Jerry Maguire' and 'The Family Man' the transition happens through an awakening or through a sign, in 'Manchester by the Sea', it happens from the most tragically way, forcing him to accept that life is brutally hard. The work of keeping the men awake and open to the signs of transition is the main priority of the Authentic Male Journey. By trusting the process of staying in the unknown place, a man will find his own true, purpose, and pace of life. "I hate myself. No, no. I hate my place in the world!" Jerry Maguire. An unsual 'Angel' offering a millionaire a second chance. WARNING: This scene is sad and does not give any answers. It is about the power of Grieving and Love. It won't bring any answers on how to be happy. 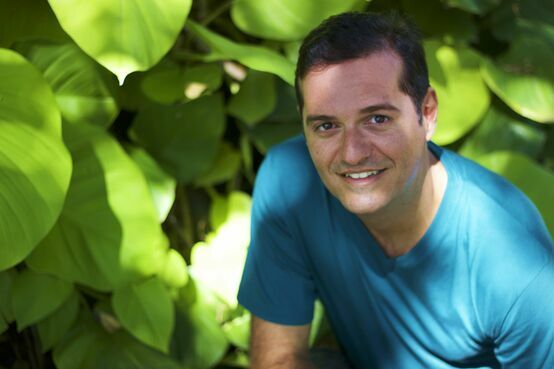 Felipe Oliveira provides counselling for men facing challenges in life. Click here to know more about his work . Or, please, continue reading this short article about the process of life transition that can lead to Authentic Manhood.